As I write this, the Woolsey Fire is still blazing in Los Angeles County, sending waves of destruction over more than 90,000 acres. My heart has been broken for days thinking of the losses. This fire hits home for me because I’ve recently bought a house in a neighboring community, and for the past several months, we’ve been driving up and down streets in the same neighborhoods involved in the fire. It has been intense to watch the fire spread so quickly and erratically knowing that our new home is just a few miles away. Several people have asked me about the astrology of these wildfires. I’ve written up a brief overview of some of the most significant transits of that day. These are just preliminary thoughts, but I’ll be adding more in the future as I take time to do more research. What I found so far can shed some light and also offer a note of caution as we head into 2019. Uranus transits can indicate sudden, shocking events or upsets. It has been going retrograde and moved back into fire sign Aries, signaling a time for us to look back at the past seven years and make sure we got the Uranus in Aries lessons, which have been a lot about channeling anger and rage into dedicated action to make waves of change in the world. Igniting fires in our hearts and then taking it to the streets. Uranus in Aries has been a season of revolution and a time for regaining a sense of individual power. Uranus was energized on November 6. Known as the planet of change and progress, its influence can sometimes introduce unpredictable and chaotic encounters to motivate change. It can catch us off guard, and it does so for the purpose of our liberation. It wants us to be free, and it can disrupt the status quo if we are allowing external factors or restrictive rules to limit us. The state of California** has Uranus at 29˚ Aries, which means it’s a Uranus return for CA (one that happens every 84 years). For CA, Pluto is also conjunct Uranus at 29˚. The Moon, Venus, and ascendant in Scorpio oppose those 29˚ Aries planets (out of sign oppositions). 29˚ Aries or 1-3˚ Taurus are sensitive points for the state’s chart. When the nodes changed signs into 29˚ of Cancer/Capricorn and Uranus moved into 29˚ of Aries, they squared California’s Uranus and Pluto and transiting Uranus. 29˚ of a sign is a critical degree, too, which adds to its sensitivity. Uranus has been active in the latest degrees of Aries and early degrees of Taurus since April 2018, and it has been at the exact degree of California’s natal Uranus on May 12, 2018 and November 10, 2018. There will be one final exact conjunction on March 2, 2019, which will activate that point in California’s chart a final time. Although wildfire season will be over before March, we could be revisiting these events in some way, perhaps to have resolution. The nodes changed signs from Leo/Aquarius to Cancer/Capricorn on November 6. (The nodes move retrograde.) On that same day, transiting Uranus moved back into Aries and made its way to the “Bendings,” a point 90˚ from each node. Any planet at this sensitive point will be energized, and the influence can trigger fated events and circumstances. The transiting nodes can shake things up so you move beyond your comfort zone. They help direct our focus toward a collective purpose for an 18-month period. Within that time, you have opportunities to deepen your sense of purpose in relation to that sign’s themes. You find ways to integrate what’s happening in the world with your expression of your life’s mission, depending on how they aspect your chart. The Cancer North Node turns our attention to home and family for the next 18 months. Its influence encourages us to feel our feelings and to protect and nurture those we love. We have an opportunity to deepen our emotional bonds and attune ourselves to the more yin aspect of the self, which means being more creative, understanding, and receptive. From November 6-11, Uranus was like an arrow receiving tension from the bow of the nodes. It was the instigator, and its placement 90˚ from either node suggests its aim was in service to the nodes. Specifically, it drew our attention to the value of home, family, community, and feelings. The North Node in Cancer is where we ought to be turning our attention. It suggests we need to express empathy. If you have been feeling more intense emotions lately, they may not all be yours. You could be picking up energy from the collective or those close to you. If so, good! This is not a time to be self-protective or closed off when you feel sensitive. It is a time to express the truth of your heart and act with compassion. Cancer is the sign of the mother. By focusing on that side of the nodal axis, we can prioritize selfless service to those we love. There’s a risk with Cancer, though, that this sense of protection would be exclusionary of those outside the inner circle. With the CA fires, I have been amazed by how many people have offered their homes as a shelter for the evacuees. It seems like a positive manifestation of the North Node in Cancer. People have pulled together to help in remarkable ways. What puts out a fire? Water, which symbolizes emotions and intuition. It holds and conducts energy. Cancer is a water sign, and because the North Node represents what we must focus on over the next 18 months, we can draw from this symbolism to find meaning and encouragement as rebuilding efforts begin. Jupiter enters Sagittarius: 4:38 AM on the 8th. During the Sonoma fires October 8, 2017, transiting Jupiter reached 29˚ Libra and opposed California’s natal Uranus and Pluto, activating the Uranus return and that sensitive point. Jupiter’s influence can magnify anything with which it comes in contact. Jupiter was a significant influence in the chart for California in October 2017, and it was again this time on November 8, when the Camp, Hill, and Woolsey fires started. This time because it had just moved into Sagittarius and was quincunx California’s Uranus and Pluto. The Woolsey fire incident was first reported to have started at 2:20 pm on 11/8/2018. ** That was the same day Jupiter entered Sagittarius, the sign it rules, and the Moon formed a conjunction with Jupiter at 11:06 am, shining a spotlight on that point. Jupiter, the largest planet in our solar system, in a fire sign—in its own sign— is larger than life. It symbolizes expansion in all ways, but not necessarily through grace and ease. It will fan the flames of whatever enthuses you, but it will follow your energy and focus. So, if your focus is on rage or anger, it will escalate that so you have a chance to express it in your life. If your focus is on success, it will fuel efforts to that aim, but you want to be prepared! Jupiter isn’t always beneficent in the ways you might expect. Sometimes a lucky break can come as a result of a loss. For example, you may lose your job during a favorable Jupiter transit, but that could lead you to start a whole new, more rewarding career. Jupiter transits a sign about every 12-13 months, and during that time, it shines favorably on matters related to the sign. Some of those themes for Sagittarius include justice, faith, spirituality, philosophy, higher education, wisdom, crossing international borders, storytelling, publishing, adventure, an expanded worldview, luck, ritual, and truth. Though the tragedy of the fires is so recent it’s difficult to see a silver lining in the cloud that hangs over the area, we might expect to see shifts in consciousness as the healing and rebuilding processes begin. Because Jupiter plays a prominent role in the transits of November 8, it suggests an opportunity or gift, on the other side, though it may be intangible. With the North Node in Cancer, we might expand our notion of home and family. There could be ideological shifts about who belongs as people open their homes to shelter evacuees and expand their personal borders to welcome in fire refugees. Since Jupiter is the planet of ritual and storytelling, we may even see new forms of art, films, or stories that bring these events and themes to light. Think about the element of fire for a moment. It is a candle flickering, a slow-burning ember, or fast-moving, wild, and powerful. It’s passionate and dynamic. It quickly spreads when it can. It warms you up, connects people in front of a campfire. Or it inspires movement. It symbolizes action and passion. Uranus in Aries has been about revolution, and its influence has helped us fighting the good fight for social justice. We saw this with the 99% movement, for example, as well as with the Arab Spring, the Women’s March, Black Lives Matter, and more. With these movements, injustice is like the ember that burns a fire of anger in our hearts and fuels our desire for action. In our country, we have experienced heat and conflict as a result of polarization. Like our passion for justice, hatred, too, has spread like wildfire, and like the fire tornadoes tearing through towns, it needs to be stopped. Water can rush, pour, flood, or meander. It’s a rapid current or a gentle stream. It is as forceful and powerful. It puts fire out. The North Node in Cancer offers us a clue— a potential solution— to the fire of violence and the furor of polarization. Being the sign associated with motherhood, it invites us to protect those who are most vulnerable. 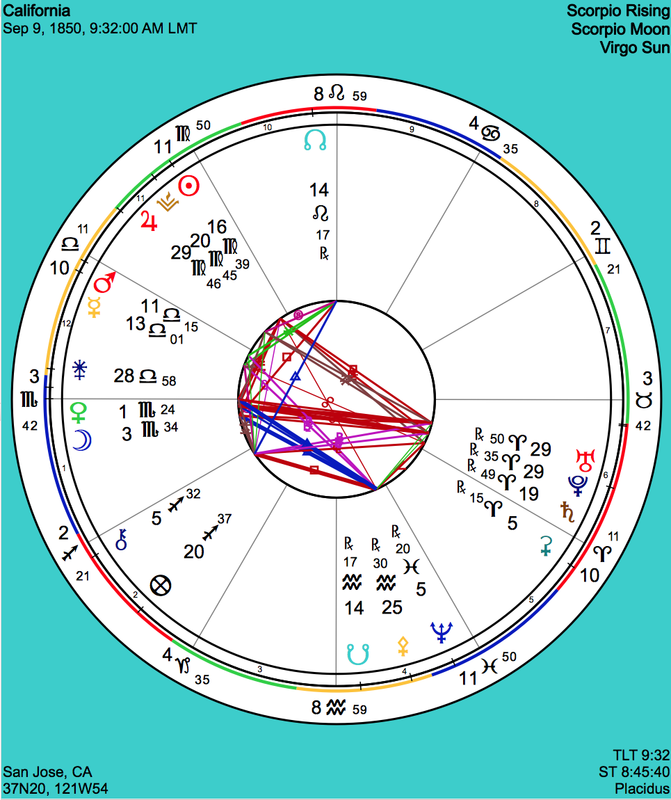 To focus less on personal ambition (South Node in Capricorn) and more on how we can more deeply connect with others. Compassion means “to suffer with,” and it awakens when we witness these tragedies. You may even feel them as if they are your own. We are all part of the collective and not separate. So, if your heart is breaking for those affected by the fires, compassion has awakened. Now, take a clue from Uranus in Aries and allow compassion to burn like an ember, igniting your desire to take action. I continue to offer my prayers, intentions, and support to those who have been affected by these fires. If you have been moved by compassion and wish to help, here are some resources for you to become involved.